Keeping your children reading and learning is essential. I know we ALL need a break from the school projects, homework, etc. it is important that they continue to stay actively engaged in learning. Reading is a wonderful way to keep their minds active over the summer! ALL Links will take you to current year's reading program info! I update the links every year for readers. I know too well that not all children enjoy reading on their "free" time. Providing children with a small incentive for their reading usually makes it more exciting because they have a "goal" to work towards. & many of them offer a small incentive or reward for completion. 1. Scholastic's Summer Challenge - is a great FREE online resource! Kids log minutes read to earn rewards and read for the World Record. They have lots of great info, lists for different age ranges and even challenge books if your child is up for it. Scholastic is even has a Summer Reading Timer App which is FREE. 2. Sylvan's Book Adventure is another fun & free way to motivate kids to read. Kid's find a book from the list, take a quiz and earn prizes for their reading success. In the Parent's Place parents can monitor their child's reading progress, track and view their quiz results and even approve prize selection. 3. To participate in Barnes & Noble's Summer Reading Program kids have to read 8 books, record/log them in their Imagination's Destination Reading Journal and turn it to your local Barnes & Noble store anytime between May 20th thru September 2nd to earn a FREE book from the list printed on the back of the journal. You can print your B&N Summer Reading PDF Journal here. 4. Pizza Hut's Book It! Summer Reading Challenge for kids in grades K-6th. They also have lots of tips, activities and printables for parents and teachers too. 6. Chuck E. Cheese Reading Rewards - kids read everyday for 2 weeks and win 10 free tokens. Document their reading on the Reading Rewards Calendar provided and take it into your local Chuck E. Cheese. They also have lots of other reward calendars. 7. Half-Price Books Feed Your Brain Summer Reading Program - Kids read a minimum of 15mins a day until they total 300 minutes. Turn in completed logs in June and July to earn HPB Bookworm bucks. 9. Books-a-Million Summer Reading - Read any 6 books listed on the summer reading form and return your completed form to a local BAM! store to receive a free gift while supplies last (while supplies last). *updated for 2017 - The 2015 program will highlight The Maze Runner series' James Dasher! Grab your BAM Summer Reading Journal and get started. 10. JetBlue's Soar with Reading Program highlights The Magic Tree House a beloved children's book series. We participated in the program and you can check out more in-depth info here. *Note - The 2017 Program begins June 27th. 11. PBS Kids Summer Reading Program has 10 weeks of ideas for a summer of adventure through learning. Check out the entire program - there are so many fun activities. Get your PBS Reading Journal here. This year's theme is Build a Better World and it focuses on science and literacy. Check your local library to enroll in their Summer Reading Program. Ours is for the Broward County Library System. 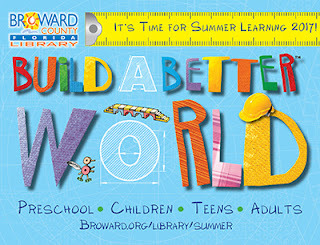 Check your local libraries for more details or visit the Collaborative Summer Library Program website. Sync is a summer program just for TEENS! 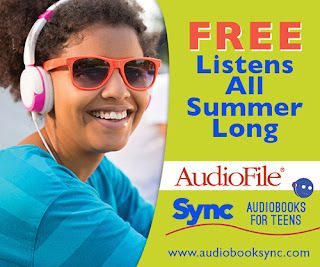 Each week they have new books to download for FREE (must use the overdrive app). Parents can read more about the program here. 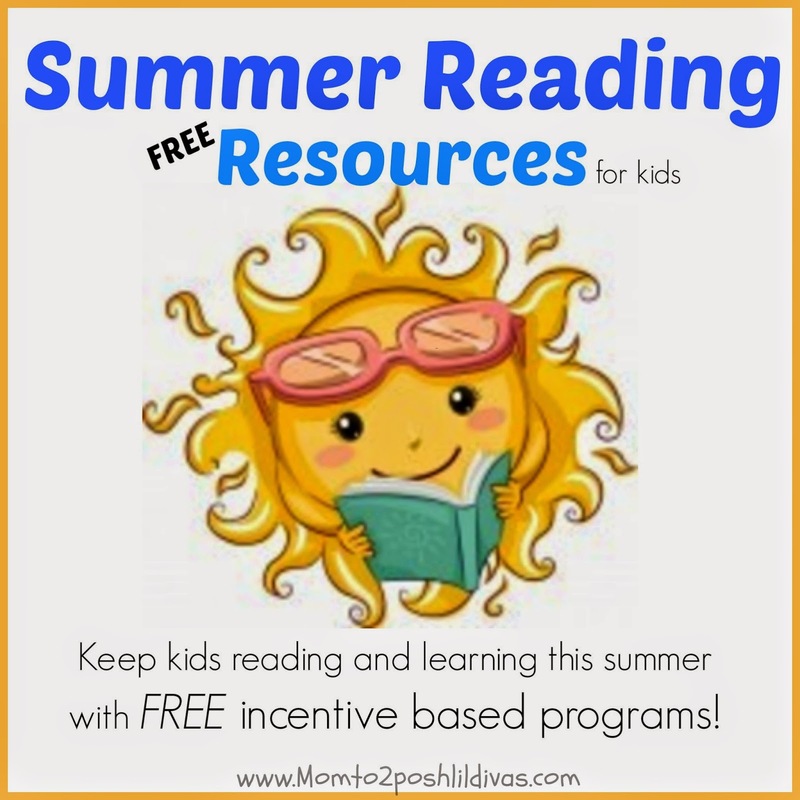 Looking for more summer learning resources? Check out Education.com's Summer Learning Series for children ages K thru 6th grade. Each week they have different printable resources to help keep students engaged and learning all summer long. I'll keep adding resources to this post as I get more information! 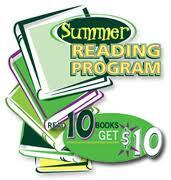 Do you know of any other summer reading programs? Please share. Let's keep our kids reading this summer! What a great list of resources. Can't wait to have a look at some of these in more depth!